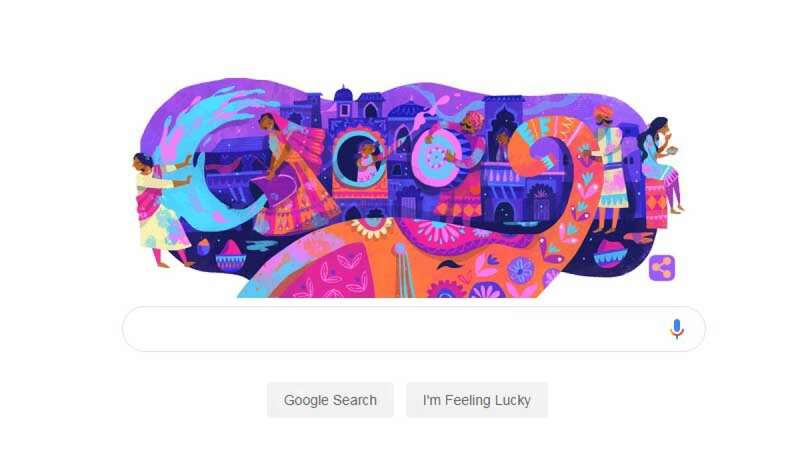 New Delhi : Google India on Thursday celebrated an Indian festival - 'Holi' with a colourful doodle, showcasing splash of colours and a wide variety of festivities. Better known as the festival of colours, Holi marks the end of winters and beginning of the spring season in India. The festival is majorly celebrated in India and Nepal. The festival lasts for two days. On the first day, also known as Holika Dahan, people perform rituals in front of a bonfire, praying for destruction of the evil, just the way Holika, the sister of the demon king Hiranyakashipu, was killed in the fire. On the second day, people hurl colours and water balloons on each other amid dances to project togetherness.